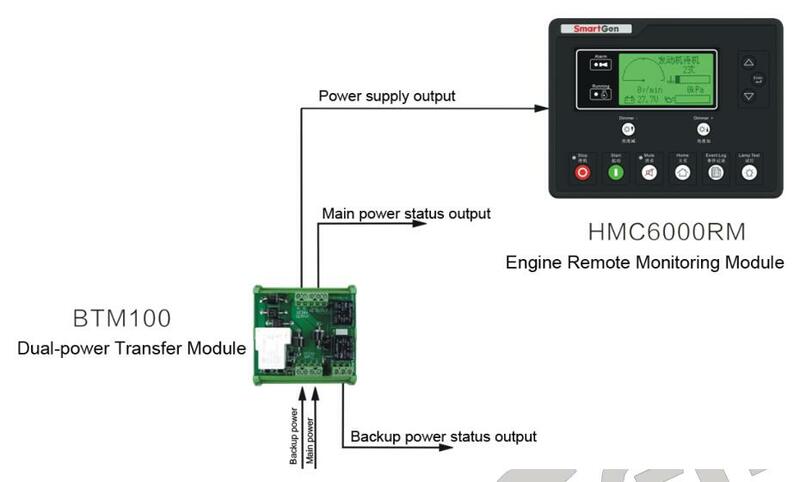 BTM100 Dual-power Transfer Module is especially designed for genset uninterruptible power supply with double power sources input and one power output. 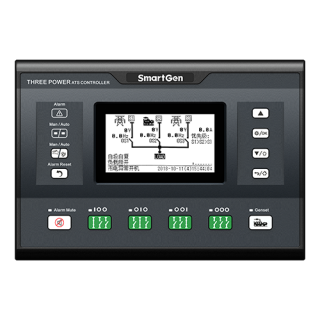 It is automatically choose output power source based on the voltage situation. BTM100 is widely used in Marine and stationary generation units with compact structure and easy installation. 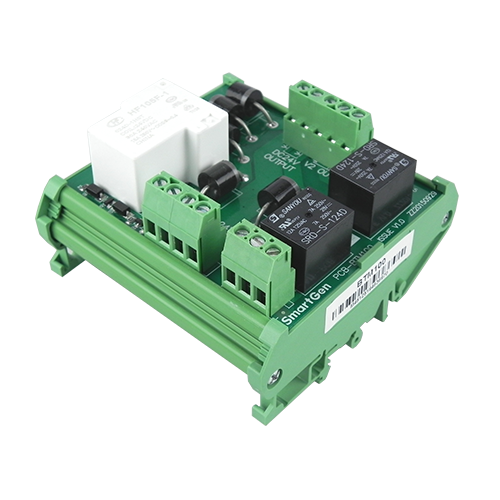 Suit for dual-power supply system: DC24V，10A. 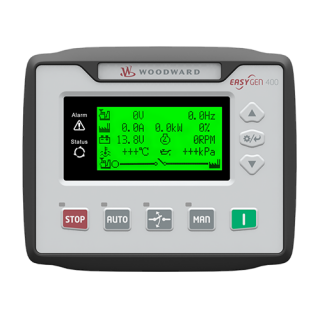 According to the voltage situation select power supply. Choose V2 if both are available; and choose V1 if V2 is unavailable. Corresponding LED indicators will display the situation of V1 and V2; meanwhile, relevant relays start output. 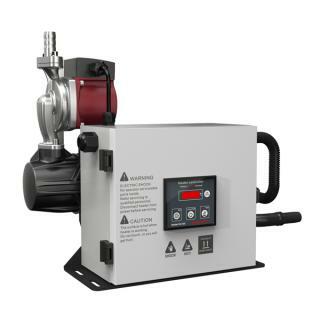 It is suit for different voltage environment of starter battery with wide power supply voltage and current range (voltage range: DC (18~35) V; current range: (0~10) A). 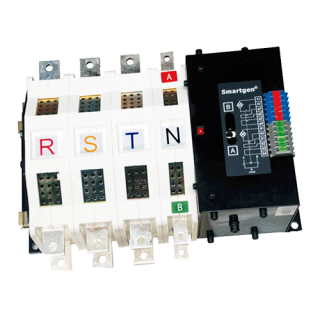 Modular design and pluggable connection terminals; compact structure with easy mounting.